The warmest parts of Minnesota are in USDA climate zone 4b so wine grapes there have to withstand -25F from time to time. Rising to meet the challenge, The University of Minnesota has developed a cutting edge reputation for developing new varieties of cold climate grapes. 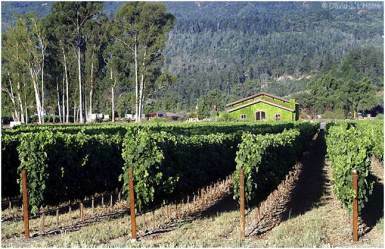 Some of these new grape varietals, including LaCrescent, Frontenac and Frontenac Gris, are so new by wine grape standards that wine makers continue to refine techniques for making wine from them. An obvious candidate for such a product is ice-style wine. Given that the best known ice wines from Canada, New York and Europe are typically available in limited quantities at high prices, there is a gap in the market to be filled. Wine marketing experts, like Tim Hanni in California, cite the demand for sweet wines among millennials, who have a well-documented sweet tooth. Younger consumers also tend to support local agriculture and to purchase home-grown products. Indeed, many Midwest wine makers have already found success producing ice-style wines. Matthew Scott, the General Manager at St. Croix Vineyards in Stillwater, Minnesota, notes their La Crescent ice-style wine was highly awarded at two recent wine competitions and is difficult to keep in stock. Due to this success, St. Croix will be releasing an ice-style wine made from Frontenac in the near future and will likely produce another from Frontenac Gris sometime soon. Scott notes that producing ice wine in the Midwest comes with its own challenges, one being grape selection. A good choice for making ice-style wine is La Crescent. Its Muscat Hamburg lineage almost guarantees intense aromatics and pleasant apricot flavors when vinified, but Bailly notes La Crescent can be challenging to grow because it is susceptible to both shattering and shelling in the vineyard. Bailly discovered that moving her La Crescent vines to a zero-pruning system has increased their productivity and reduced shattering. Scott notes that La Crescent’s tendency to shell late in the season means it will never be a candidate for making true ice wines, but he states that cryogenic freezing can achieve the same result. If a true ice wine is the goal, Scott claims the best grape choice is probably St. Pepin. Whether cryogenically frozen or made from naturally frozen grapes, pressing an ice wine can be a further challenge. Scott notes that, as soon as pressing begins, you will likely be faced with a single large block of frozen grapes that could ruin expensive membrane or bladder presses. Instead, opt for a traditional and sturdy wooden basket press. Scott suggests pressing slowly while closely monitoring the sugar level of your must until it reaches 38° Brix. Aside from ice-style wine, there may also be lesser known styles ripe for exploitation in the Midwest. Bailly makes a ratafia-style wine that is extremely popular with her customers and may be one of the few ratafias produced in the Midwest. Unfortunately, she refuses to tell even her closest confidants her secret recipe. 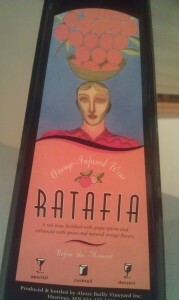 She will concede that Alexis Bailly Ratafia includes Foch grapes and oranges in some form. Katie Cook, the Enology Project Leader at the University of Minnesota, recently engaged in a successful experiment to make passito-styled wine from Frontenac Gris. Using industrial fans before pressing minimized insect and mold problems and mimicked the more costly and much slower method of drying the grapes on straw mats used in other parts of the world. Cook advises using a yeast tolerant to high osmotic pressure in order to ensure successful fermentation. Whether its ice wine, ratafia, or passito, some of the best wines coming out of the Midwest fall on the sweeter end of the spectrum. Given the nature of the grapes and the trending tastes of today’s consumers, Midwest wineries are well advised to incorporate such wines into their product lines. Growing grapes and making wine in the Midwest is challenging enough without the added hassle of trying to compete with California, France, and Italy in the dry table wine market. Midwest wineries who exploit under served markets by making sweet wines, for which their grapes are well-suited, will undoubtedly reap the rewards in coming years. 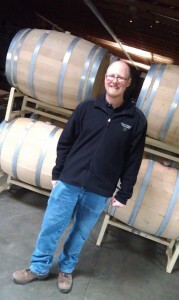 Troy A. Stark is the publisher of La Vino Dolce, a website dedicated to exploring the world of sweet wines at http://www.lavinodolce.com/ For more information on the sweet wines being made in Minnesota, including reviews, please visit Troy’s site.